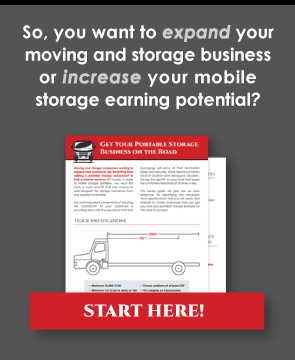 Can Your Mobile Storage Business Benefit From Mobile Technology? Mobile technology is taking the world by storm. From smartphones and tablets to laptops, the ability to manage mobile storage is much easier when it is integrated with mobile platforms. In the 21st-century business environment, it is absolutely essential for mobile storage operators to integrate mobile technology into their operations. Customers benefit immensely when mobile storage providers offer mobile solutions for them to use. Easy bill payment is a key feature that customers look for when seeking a provider. Having the ability to set-up automatic payments or make monthly deposits gives them considerable freedom and flexibility. It also makes it a breeze to keep their account up-to-date. However, the most convenient benefit a mobile interface offers is container tracking. Customers on-the-move have likely discontinued their home Internet service… but they still have their smartphone. When your business has a mobile interface, customers can track their container as they focus on their move. From your truck to their doorstep, they can see where the container is and what the expected delivery time will be. This creates peace of mind and allows them to plan their move so that everything comes together smoothly. Mobile storage providers who integrate mobile platforms into their operations will quickly discover how much easier 21st-century technology makes it to conduct business. Drivers in the field can update shipments, make changes to delivery orders, and communicate problems quickly and efficiently. Having the ability to update records and manage decisions in real-time gives your business a significant advantage over providers who don’t offer such rapid service. Moreover, mobile technology can be used to manage the warehouse, office, or fleet regardless of whether you are in the office or out on the golf course. This gives you total control over your business 24 hours a day. This will not only increase your efficiency but also ensure that minor problems don’t become major issues. It will also increase your responsiveness and decrease the amount of time you need to spend managing your business. The result is that you can focus on growing and expanding your operations without having to focus on the logistical minutiae of day-to-day operations. Designing and building a mobile interface isn’t that expensive. Businesses that already have a website have the foundation required for mobile customers. In most cases, a few minor adjustments to the architecture of the website is all it takes to make the site 100% mobile friendly. It is a worthwhile investment as more and more customers are using mobile interfaces for bill payments, account management, and researching companies. Mobile technology will also save your business money. It makes it possible to do more work with less staff. This decreases overhead and allows you to strategically invest in other areas of your business, such as marketing or new equipment. These investments increase profit margins and make it possible to expand your operations at a faster rate. When it comes to smart moves, integrating mobile technology is one of the smartest of them all. Mobile web traffic is growing at a phenomenal rate. Companies that take the time to develop easy-to-use mobile interfaces will be well-positioned to take advantage of this trend. Indeed, mobile traffic is set to eclipse laptops and desktop computers within the next decade. As smartphones become more powerful and easier to use, companies that have well-designed mobile interfaces will be well-positioned to provide the efficient level of service and functionality that consumers desire.